Pump Up Your Prostate Health Today! Here are some fast facts: prostate cancer is the second most common cancer among men in the USA, and is the leading cause of cancer death among men of all races and Hispanic origin populations. In the USA, around 209,292 men are diagnosed with prostate cancer every year - and around 27,970 men will die from prostate cancer in the USA this year. 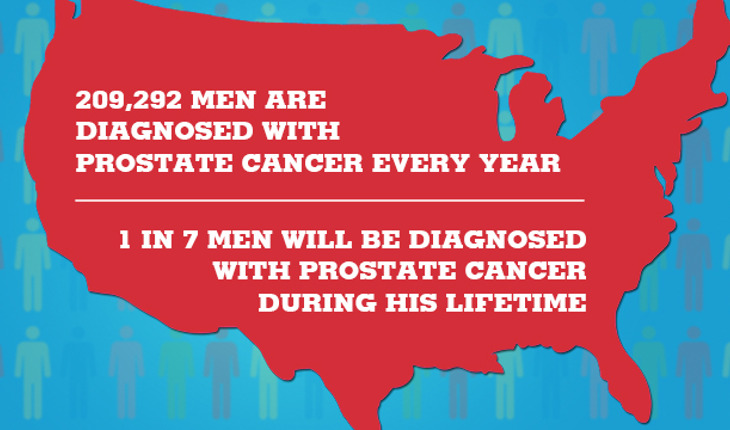 The American Cancer Society states that 1 in 7 men will be diagnosed with prostate cancer during his lifetime.